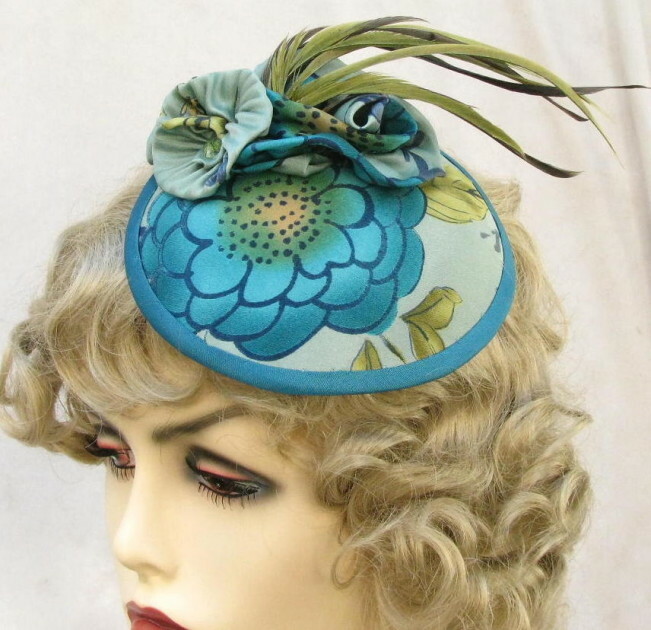 1920s style cloche hat in a art deco swirling pattern design in avocado and turquoise. 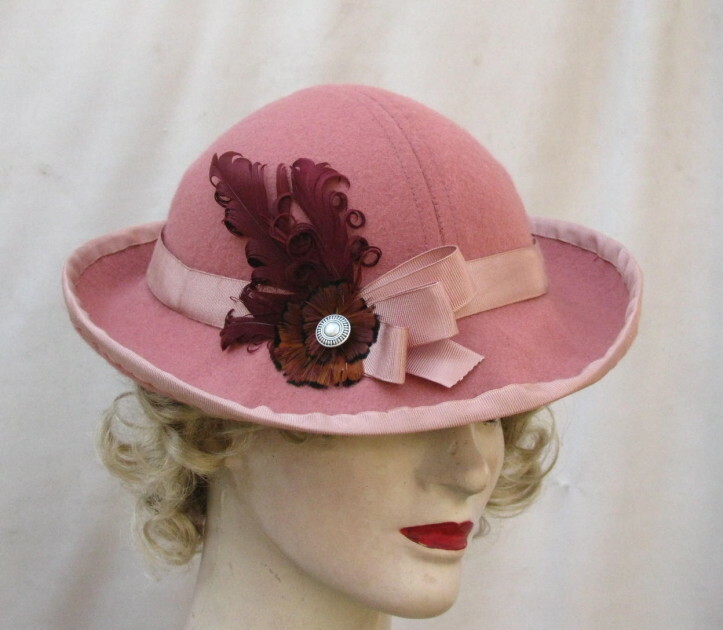 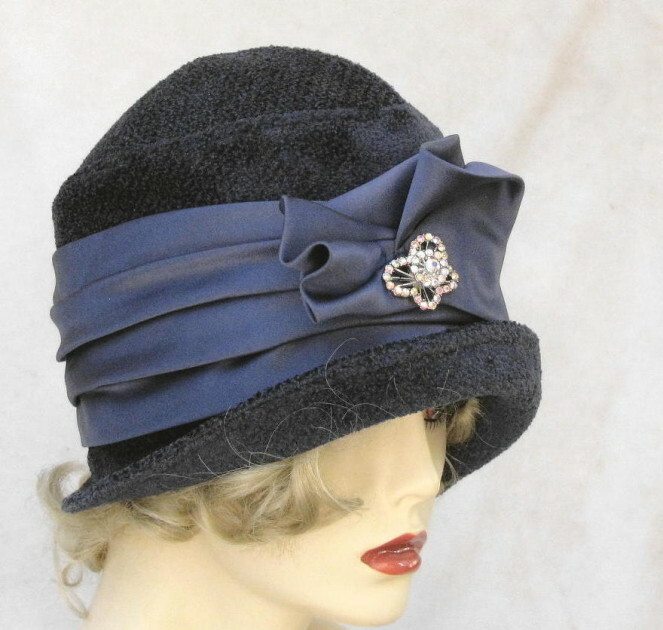 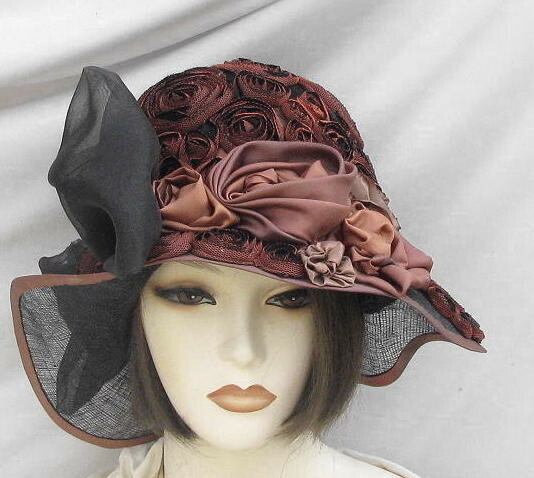 The hat is detailed in a shimmering pleated taffeta band and turned up brim. 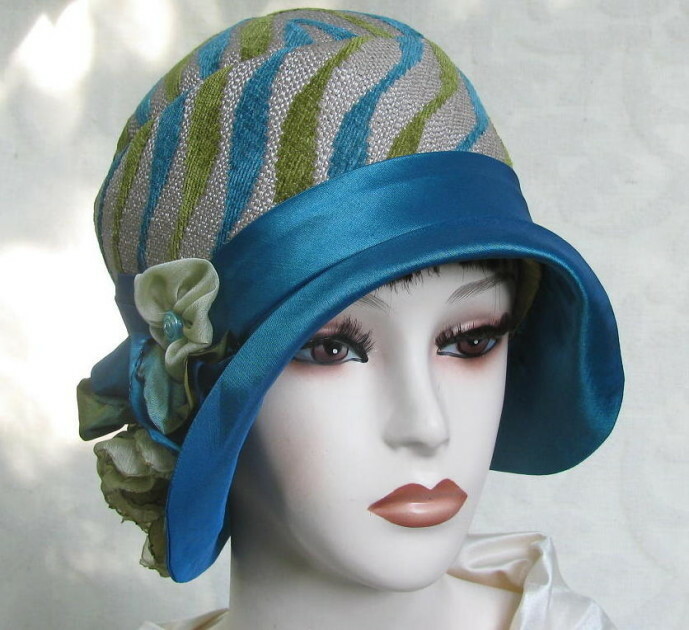 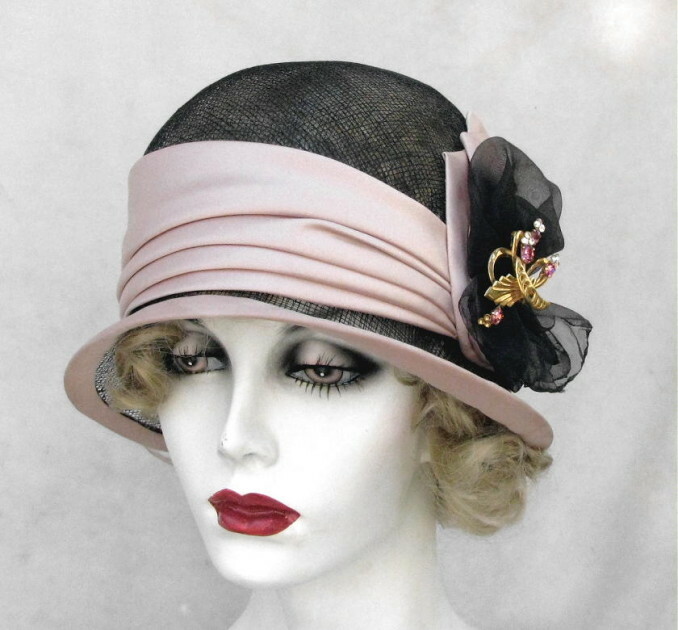 Vintage Style Hats by Gail.